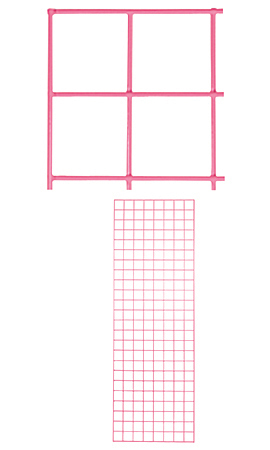 Maximize your retail space by adding the 2' x 6' Hot Pink Wire Grid Wall Panels to your store. This panel measures 2' x 6', which makes it great for any size items and accessories. The eye-catching hot pink finish will complement almost any wall color and will be a great addition to any store. This panel features sturdy wires spaced 3" on center with double wires along each side of the panel.